Join Club Z! And Cash In On The 10 Billon Dollar Tutoring And Test Prep Market. Our owners don't tutor or teach. Club Z! franchise owners manage a staff of Tutors that provide one on one instruction for students and business professionals in the comfort and convenience of the students home, library or school at an extremely competitive rate. Club Z! franchisees also have the benefit of partnering with Club Z! Corporate to offer Online Tutoring (one on one or small group) in any subject 24 hours a day. A reason our franchisees are so successful is that our Club Z! Sales center does most of hard work for you. We answer all of your incoming calls from potential clients Monday thru Saturday 9-9. Our staff of educators listen to your parent’s concerns and give them all the information they need about Club Z! Tutoring and present a specific customized program for their child including pricing. Our average telephone consultation last 18 minutes with a booking rate of 69%. 95% of the appointments become clients with our system because the hard work has been completed on the phone. The franchisee simply meets the family, recommends the tutor and schedules and picks up the contract. In addition, our Sales Center also makes Outbound Calls to parents and schools on your behalf as well. Any leads you receive from the internet or other Club Z! partner sources are called within 5 minutes of receiving such lead. We even make calls to schools guidance counselors and administrators to open doors for all of your marketing activities Our Sales Center reps are also your Chat Operators on your unique website. From 9 -9 Monday thru Saturday your website will have a live chat operator available to discuss your services with interested students and tutors. Online Tutoring Offers Club Z! Franchise Owners Unlimited Income Potential! Club Z! Tutoring, the nation’s premier in-home tutoring and test preparation franchise system, offers a major benefit to its franchise owners through online tutoring and test prep services. These programs provide additional revenue without requiring any additional work, because the Club Z! corporate headquarters handles everything from tutor recruitment and placement, to billing and customer service. And in return, Club Z! franchisees receive anywhere from 50-80% of the profits, depending on the program! Club Z! offers a full suite of online tutoring and test preparation programs, ranging from one-on one lessons in all subjects, grades pre-K through adult, to weekend SAT and ACT classes, online test prep diagnostics, on-demand homework help, and a brand new online Summer Reading Camp. All of these exciting programs are designed to help increase sales revenue for its growing network of franchisees. With Club Z! online tutoring and test preparation programs, Club Z! can offer tutoring to everyone, everywhere! PRE-K-College 1 to 1 tutoring. Our tutoring is conducted in the home of the student or another mutually agreed location. Club Z! 's program is extremely effective; our average student improves two letter grades in just 60 days. Test Preparation. We offer proprietary programs For the PSAT, SAT, ACT and Study Skills. Our Online diagnostic tools pinpoint a student’s strengths and weaknesses, so our tutors can focus specifically on areas that can dramatically improve scores. Our average student improves 200 points on the SAT and 2-3 points on the ACT. Club Z! also offers test prep programs for the SSAT, ISEE, GMAT, GRE, LSAT and MCAT, ASVAB. Online Tutoring. Club Z! 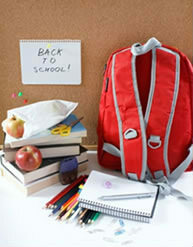 franchise owners also offer online test prep, subject tutoring and our ON-Demand homework help program. College Admissions Consulting. Franchise owners partner with our college admissions consultants to earn a high income assisting students with services, including, but not limited to, college list development, college application review, college essay coaching, resume development, college interview preparation, extracurricular and course planning, and financial aid and scholarship guidance. Home Based/Low Overhead - No storefront needed. Work out of your home! By eliminating the high overhead associated with a storefront or center, Club Z! owners can focus their resources on advertising, marketing and management. We Furnish the Qualified Tutors - We provide franchisees with pre-screened tutors; all with certifications and/or degrees with 2 plus years of proven tutoring experience. All Subjects/ Grade levels - Your tutors will be qualified to provide tutoring in all subjects and grade levels. Club Z! also has proprietary curriculum such as SAT, ACT and Study Skills programs so that franchises can offer top quality programs to its students and schools. National Advertising/ Marketing Support - Club Z! spends 100's of thousands of dollars on National advertising programs each year for our franchisees. Our company has built a tremendous presence on the Internet so that franchisees can hit the ground running when they launch their business. In addition our principals have a combined 65+ years of marketing experience. Our exclusive Club Z! Marketing Plan has been developed and time-tested over the last 12 years. This plan has been proven to be successful in hundreds of markets throughout the United States and Canada. Franchise owners also receive access to our Advertising Department that creates and prepares all of your marketing materials. Our Call Center, Your Competitive Advantage - Our call center can answer all incoming calls for our franchise owners during business hours. This one of kind service "sells" your potential clients on using our service, and even schedules your enrollment meetings using a web-based calendar. By utilizing our call center, franchises never miss an opportunity for a client and create time to focus on the growth and management of their business. Chat – each owner has a customizable website that we create, complete with Chat, staffed by the corporate office acting on behalf of our franchise owners. The chat has proven to be extremely valuable as its lead to many new clients for our owners. 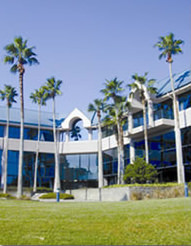 Training at our Corporate Office - Club Z provides intensive training at our corporate location in Tampa, Florida. For you convenience, on-line training (with an instructor)is also available for franchises that wish to begin operations within a quicker time-frame or need more time to complete our training program. Franchise Owners that elect to receive online training are also welcome to participate in our In-Person training program in Tampa at a future time. Unparalleled Ongoing Support - You will have unlimited access to our staff during business hours and 24/7 access to our Club Z! Intranet; including databases, documents, conferences, conference calls, real-time forums and many other tools to assist with the growth of your franchise.